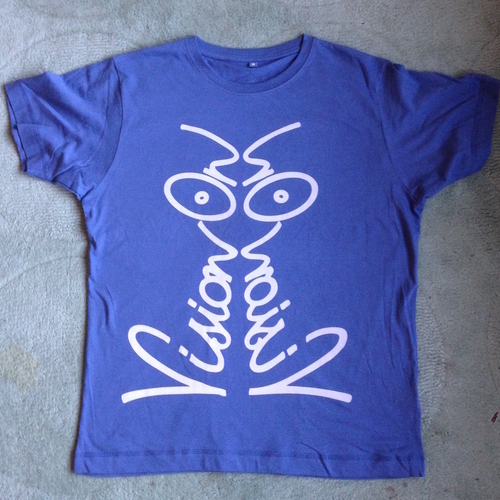 Sorry, New VISION ON Blue "Discharge" Tee is out of stock. I do love a discharge tee - this is when instead of paint being screen printed, a bleach is screened over the tee so the design is actually bleached out of the tee shirt. Looks "well cool". Very limited as always, and discharged onto a high quality 100% organic cotton Continental Brand tee shirt. So top quality radical printing and top quality tee shirt too.